Compatibility: Requires Android / iOS 10.6.6 or later. 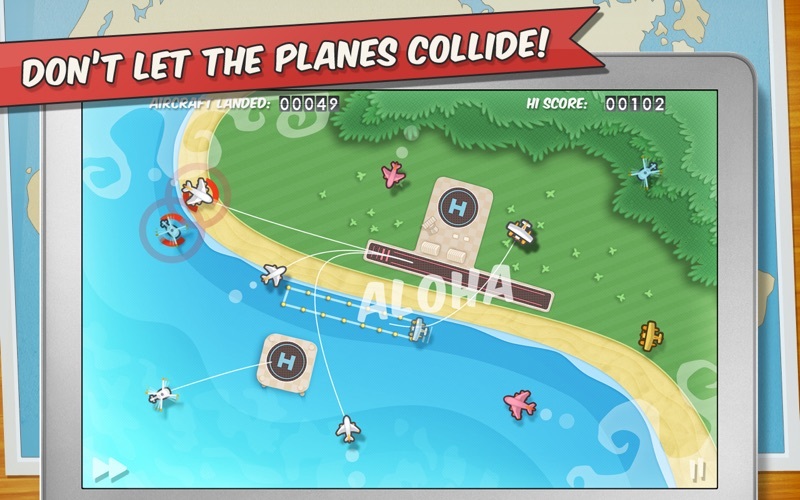 Addictive Game - Worth the price! The game is highly addictive and fun to play. It is value for money. 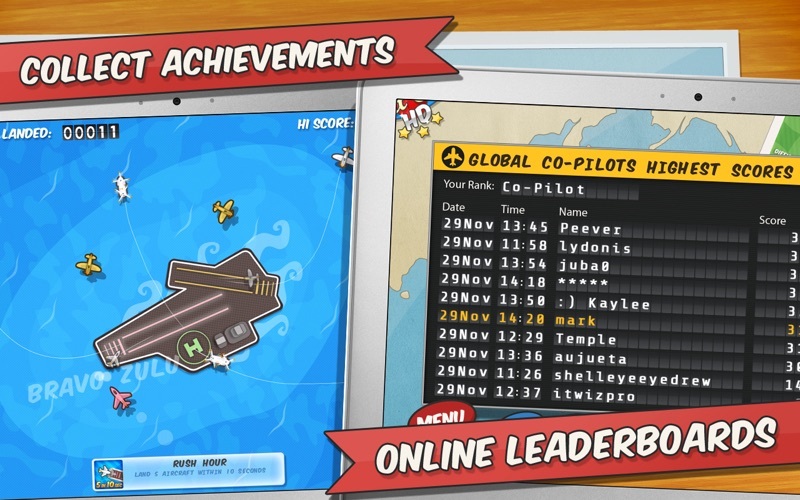 However I would love to see an online multiplayer mode over Game Center. 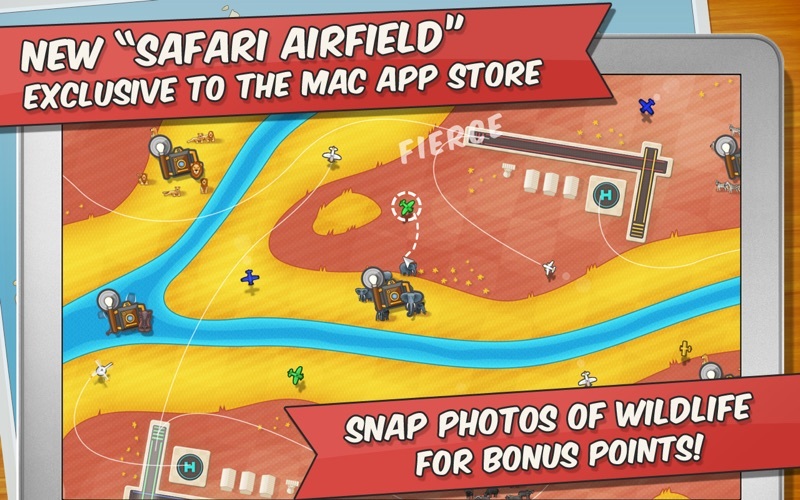 If there could be an iPhone/iPad vs Mac gameplay available, it would be great. Would be nice to play on my wifi with other players i.e., iphone, iPad, or another MacBook. Otherwise, I love it. 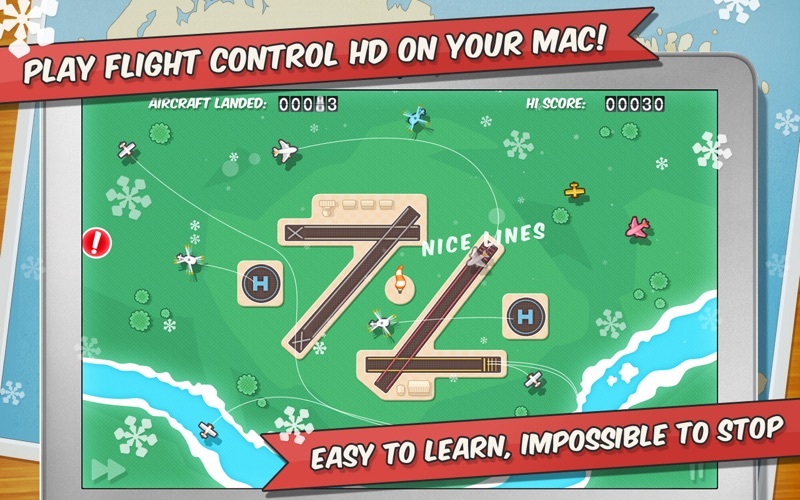 I purchased the Flightcontrol HD game after playing both the iPad and iPhone versions. 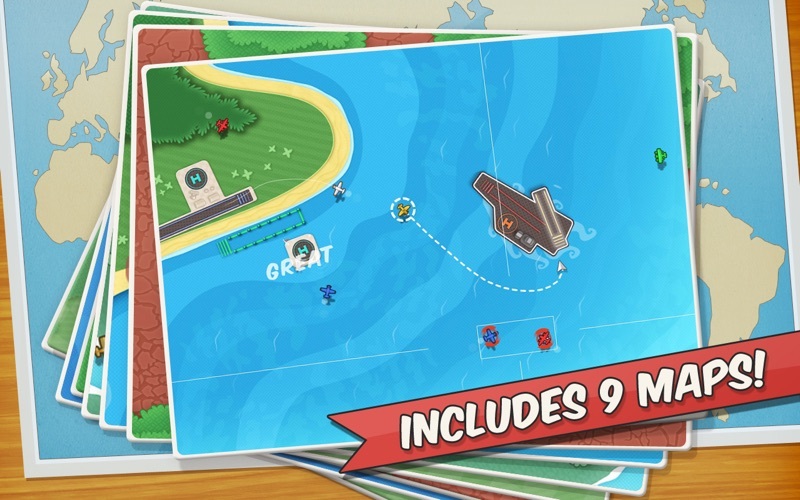 The mac version is restricted to one map until you have played x amount of times unit you can progress to the next one. I purchased the application with the expectation of using it in its entirety and not by some pre-set, hidden progression. How does one ask for a refund? I have this game on my Droid and I can't get enough of it. Now that I have it on my Mac you can't get me of this thing. quite interesting! but the iPad version is beter. Very much fun - addicting! Lots of enjoyment - for hours! Excellent game! Excellent graphics! And a lot of fun! I haven't experienced any problems yet. Version 1.0.3 won't launch. when I revert to v1.0.2 from a backup, it works fine. Until the developers fix this problem, it's a 1-star. No help from developers.. shame, since it is a fun game when it works.